Oversize knitwear is having a moment. This year, I’ve styled so many pieces to make them look practical and appealing without making looks seem like I dived into a loom and emerged a giant ball of wool. 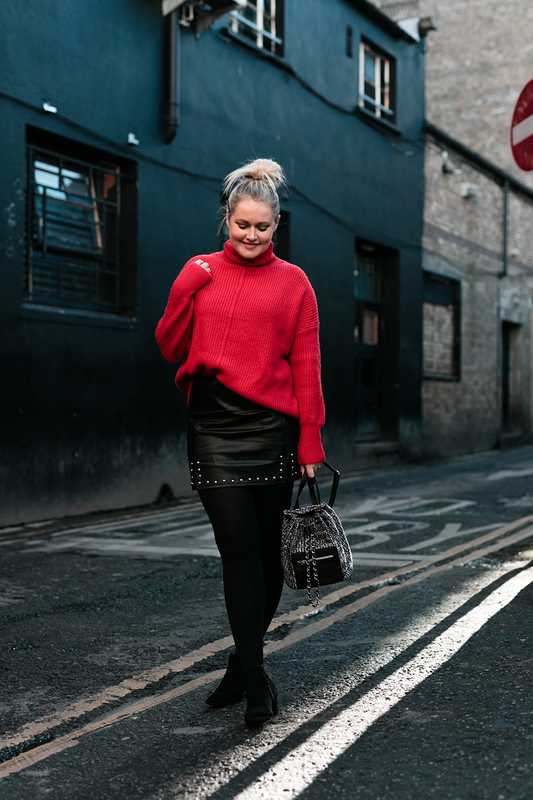 I’ve chosen some lovely pieces to style this Winter, and one such piece is this red jumper from Penneys. Ok, ok, I know, another red jumper. But the feel of this one made me choose it, and not just the colour. It’s like having your cosiest dressing gown on during the day. 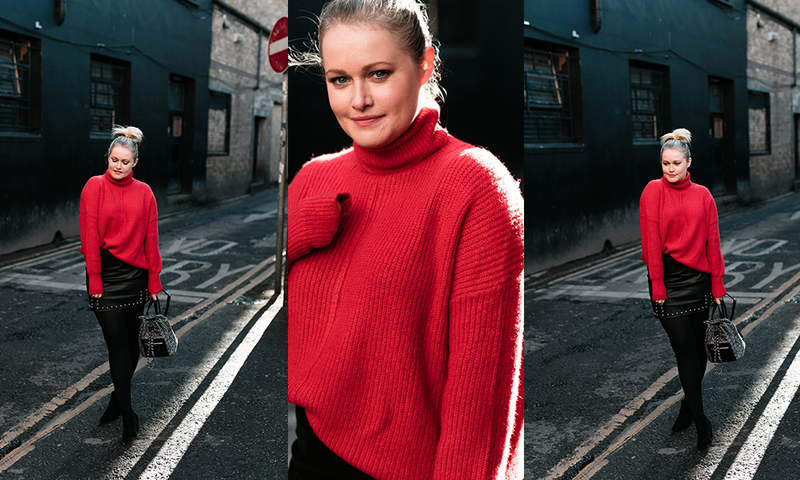 The key to wearing oversize knitwear is to balance the look so it doesn’t swamp you and here’s how. 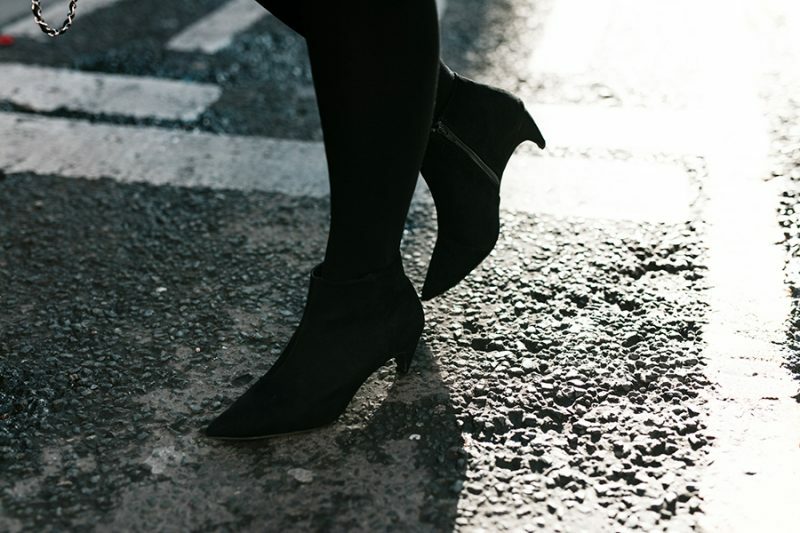 Take a tip from the French girls and keep the look minimal with not a lot of detail. 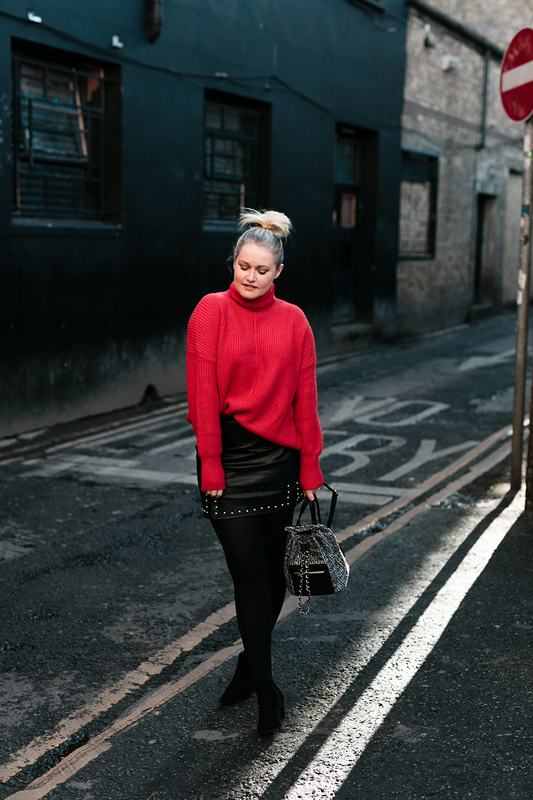 So here, I’ve gone with a leather skirt and black tights and boots and let the jumper do the work. 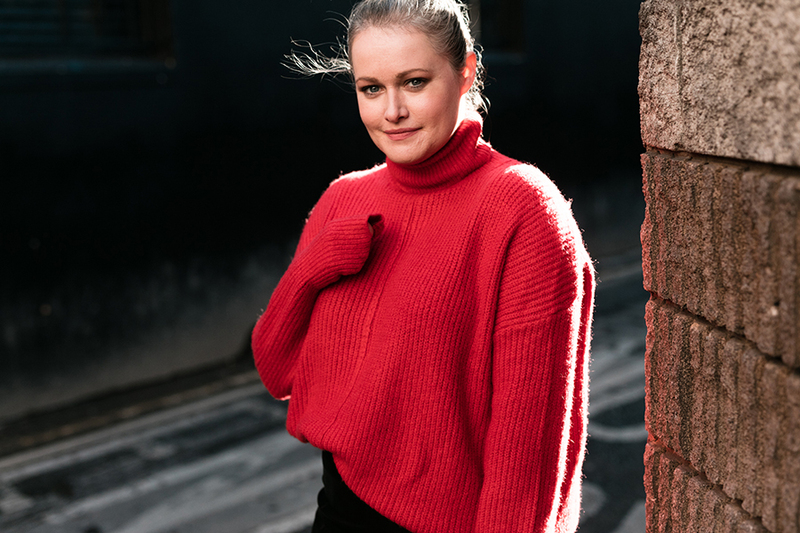 If you choose an oversize knit, then the rest of your outfit needs to be fairly fitted. So either a pencil style skirt like this one, or a skinny fit pair of jeans. Oh and again, with the boots. I always got for black or cream knits, but try a colour with this. Pops of bright shades like red and pink especially make your outfit stand out. The knit becomes the focus of your look. 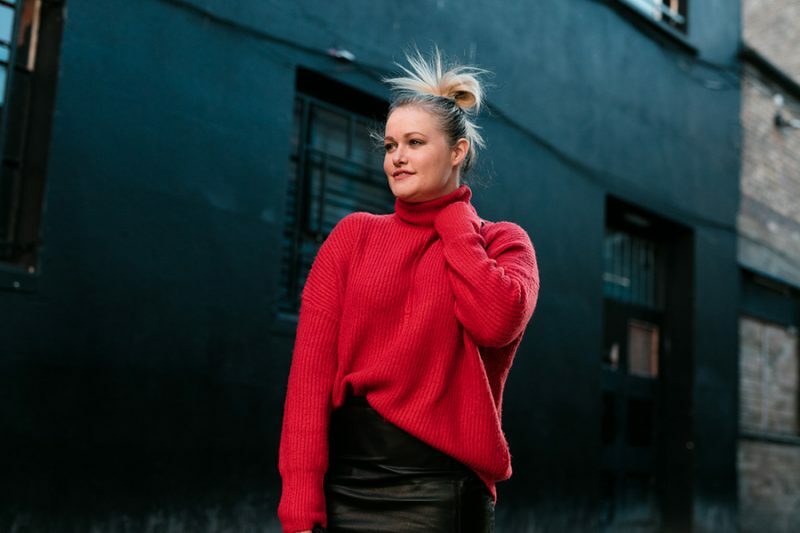 I love polo necks or cowl necks but do try off the shoulder styles or v-necks that you can accessorise with some lightweight, dainty jewellery. Try to keep accessories simple. The knit is voluminous anyway, so by adding a chunky piece of jewellery your just added more bulk. Not cute. 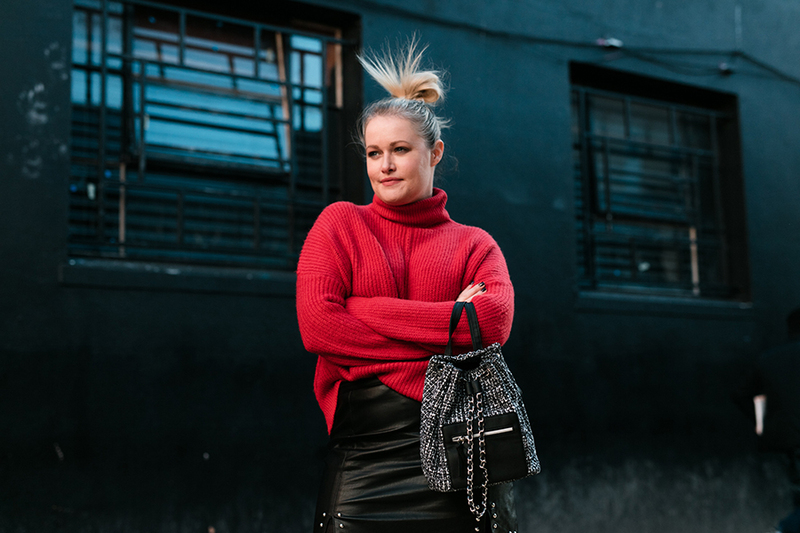 If you can, wear your hair up to keep it off the heavier texture of the jumper. It will create more space around your neckline and face for you to add in a nice rich lip colour. All the above pieces are currently available in Primark.